Wednesday, February 5th - In a landslide victory, Amy Wilburn remains Chair of the Delaware Bicycle Council by a 9-2 margin. The day's lingering winter storm didn't keep Council members away, each braving the cold and icy roads to cast their vote. Newly appointed member James Wilson (Executive Director, Bike Delaware) in a surprise and unexpected challenge, gained 1 vote on top of his own, barely registering a challenge to the long time incumbent. 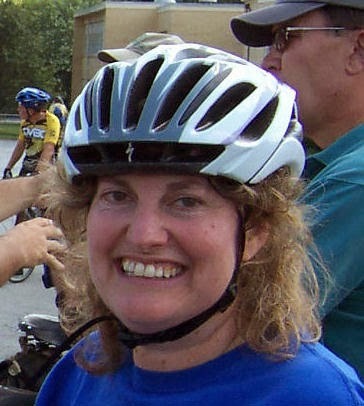 The result was no surprise, given Amy's tenure as one of Delaware's top bicycling advocates, and winner of Delaware's Advocate of the Year in 2011. Amy is very excited about the victory. She is proud of DBC's many accomplishments during her years of service, and is looking forward to more great advocacy achievements in 2014! Formidable foes? 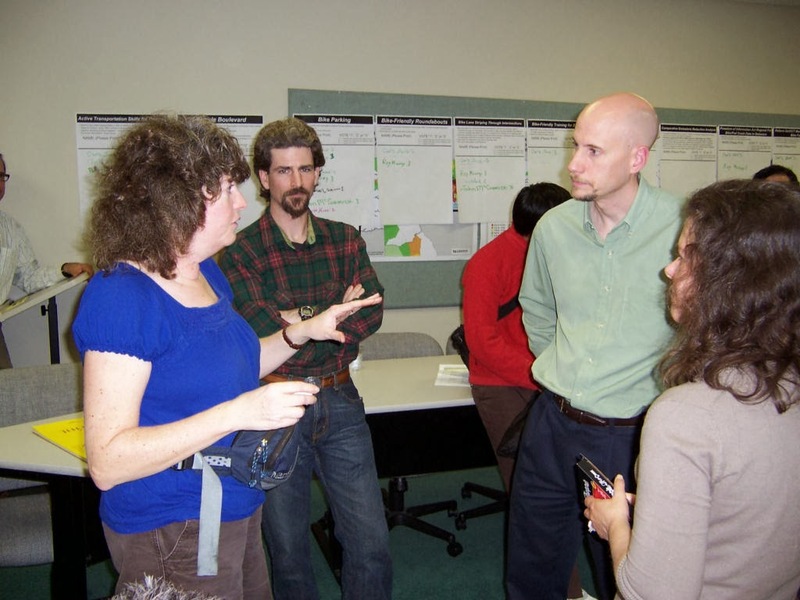 Amy Wilburn (L) and James Wilson (R) discuss terms during the 2011 Bike Delaware Goals Meeting.